Model #: APC3048D Click to view the whole line. This 48volt to 120/240V Volt pure sine wave 3000 watts inverter charger is a power inverter, battery charger and transfer switch. 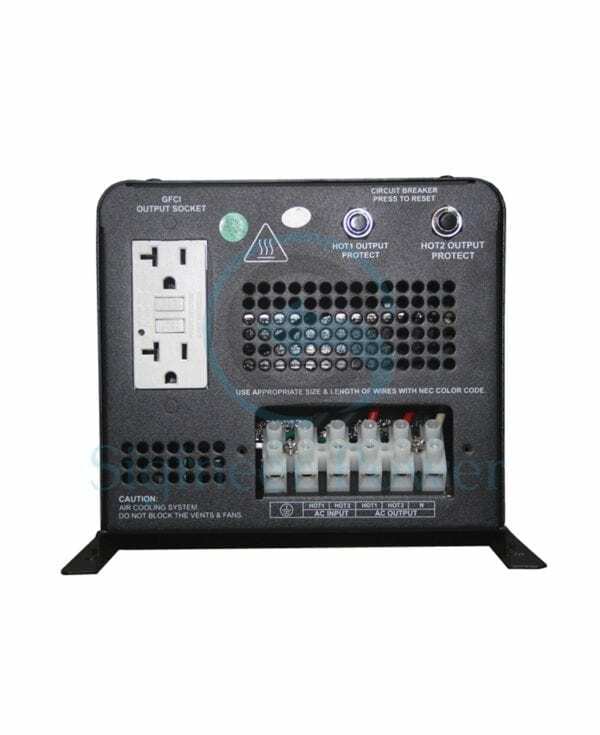 It outputs 12.5 amp on 240Vac(3000 watts), and 12.5 amps on each of its two hot lines.